SFPR is hosting a SUMMER BBQ!! 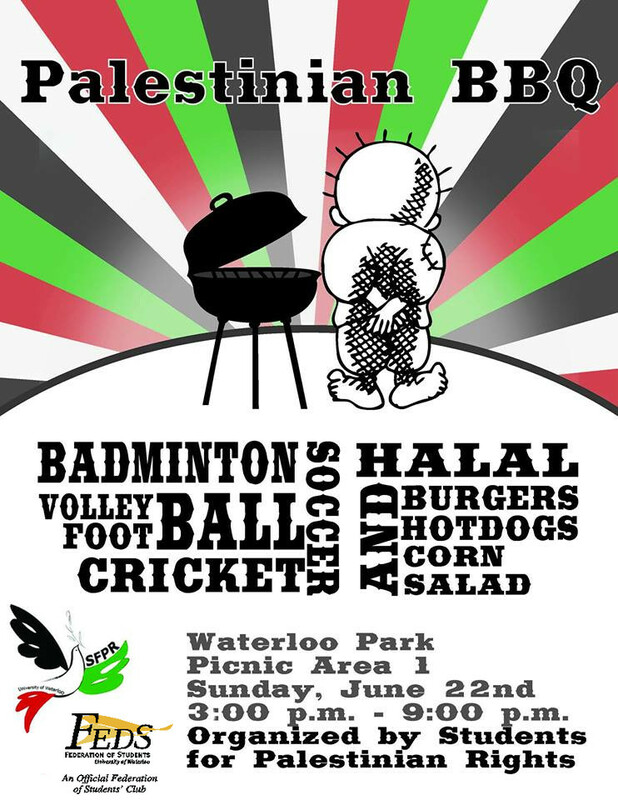 Come and enjoy a day of Sports, chillaxing and FOOD. – For the vegetarians out there, there will be veggie burgers too 🙂 Also to add to the Arabian tradition we will have BBQ CORN!! You will also get the chance to purchase your very own PALESTINIAN KUFFYIAH made in AlKahlil City, but we have a LIMITED number so make sure you get your own!